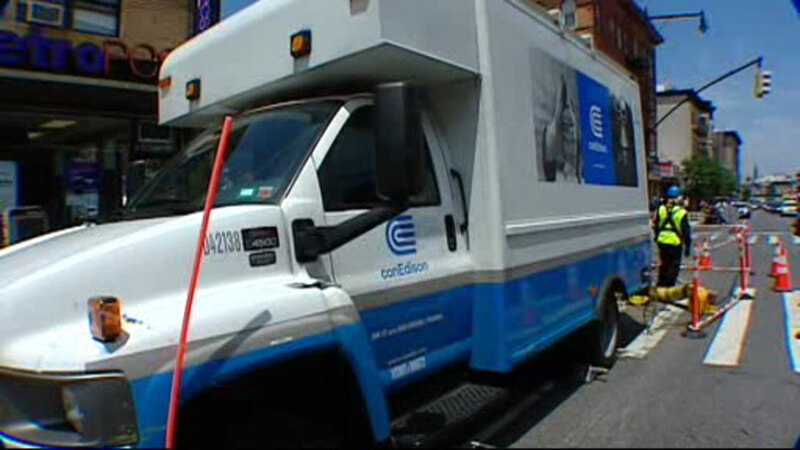 STATEN ISLAND (WABC) -- The sun may be scorching, but Con Edison is asking Staten Island customers to turn their air-conditioners down a few notches - at least for now. The company announced Friday that crews will be repairing equipment problems in in parts of northeast Staten Island. These areas will experience a 5 percent reduction in voltage during this time in order for Con Ed to protect equipment and maintain reliability. The affected neighborhoods include New Brighton, St. George, Tompkinsville, Brighton Heights, Ward Hill, Stapleton, Grymes Hill, Clifton, Silver Lake, Rosebank, Ft. Wadsworth, Grasmere, Concord, Arrochar, South Beach, Ocean Breeze, Midland Beach, Grant City, New Dorp and Dongan Hills. In order for these residents to conserve energy, ConEd advised that they avoid using energy- intensive appliances such as washers, dryers, and microwaves. Customers without health or medical reasons should also turn off their air conditioners. Although Con Ed said crews are working now on repairs, it did not specify when these problems will be resolved. Staten Islanders can check their service restoration status at www.conEd.com.